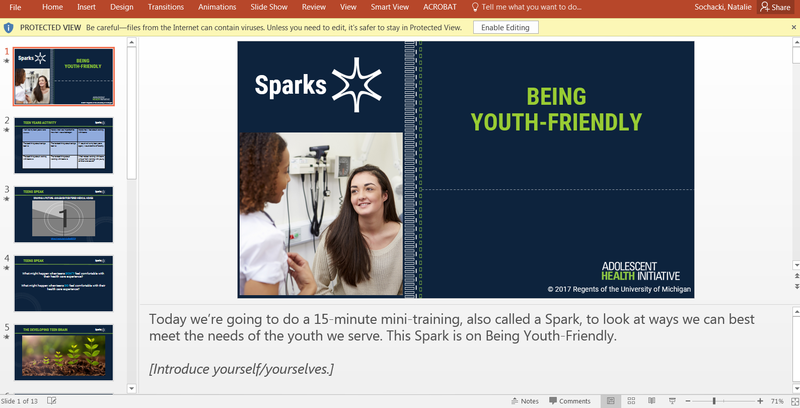 Before you download our Sparks, we would like to learn about your organization and your interest in Spark topics. Please take a moment to fill out this brief form: we won’t share your information with anyone. Once filled out you will be able to instantly access the trainings. Thank you for your interest! 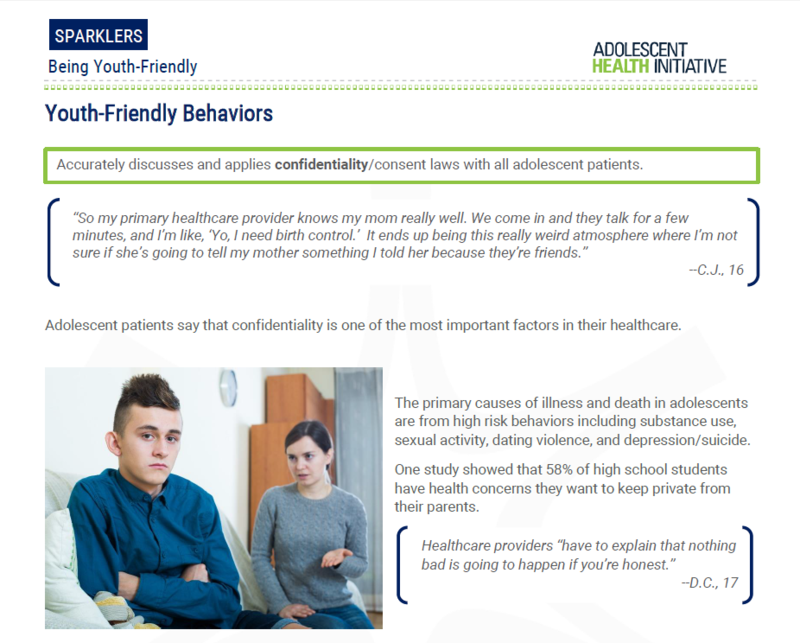 Preview Adolescent Health Initiative’s Sparks. 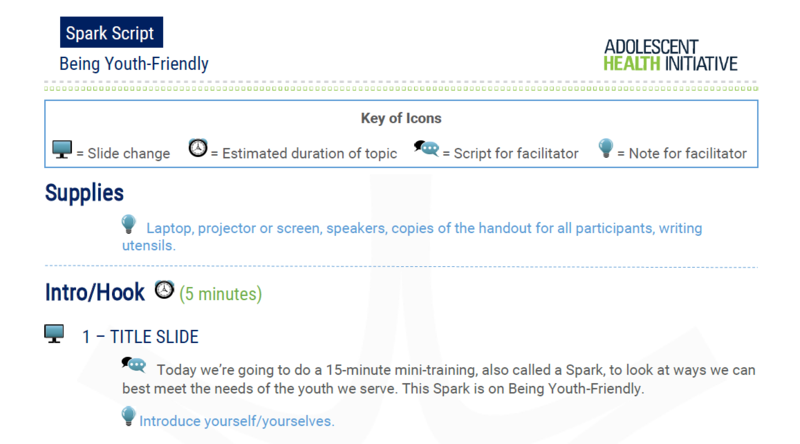 Each Spark training comes with a presentation, a facilitator script, and corresponding follow-up materials. Click the links below to preview. Would you like to recieve more information about Sparks? 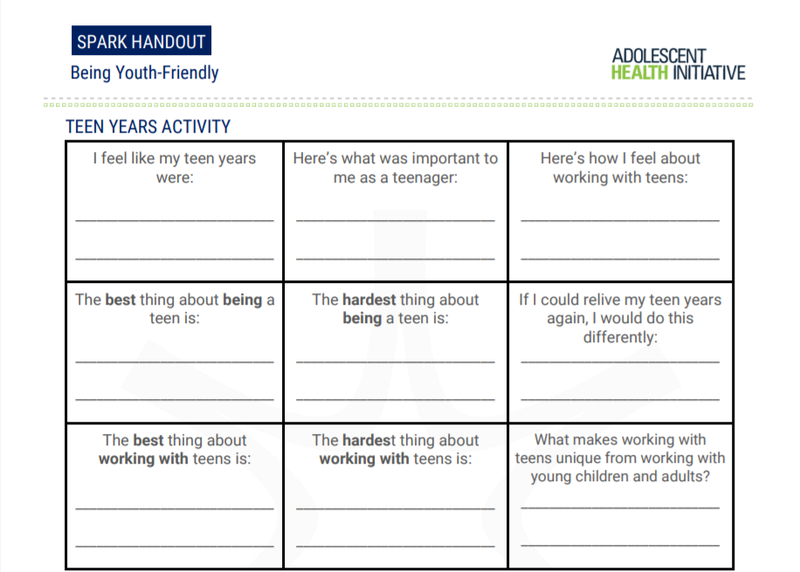 Sign me up for AHI’s newsletter to learn about new Sparks and resources.